AE3 is part of the team selected to provide Program Management Support Services for the Terminal 1 Redevelopment Program. Terminal 1 and Boarding Area B were originally constructed in the early 1960’s and renovated in the 1980’s. Today these facilities are showing their age and are in need of renovation and/or replacement. The major components of the T1 Program include: The complete demolition and replacement of the Boarding Area; new consolidated passenger screening checkpoint, new airline ticket counters, new concessions program, and seismic upgrade; new consolidated common use baggage handling system and check baggage screening system; interior remodel of Boarding Area C; temporary facilities to retain ten aircraft gates in operation during the course of the program; various airport, airline and agency related tenant improvements; and South Field Improvements. 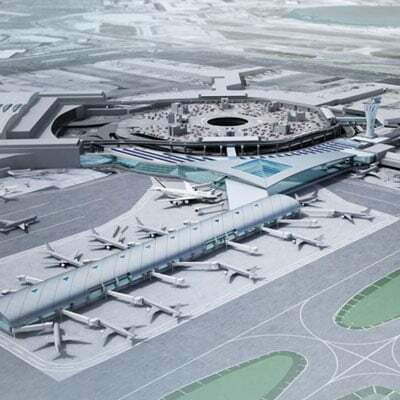 In addition, a key aspect to this work is ensuring that the SFO’s principals of R.E.A.C.H (Revenue Enhancements and Customer Hospitality) are fully integrated into the redevelopment program.